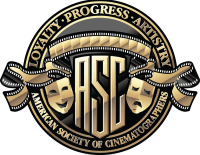 The ASC is the American Society of Cinematographers, a non-profit organization dedicated to advancing the art of filmmaking. The ASC is not a union or guild, but an honorary association. Membership is by invitation only, and the Society extends an invitation to a cinematographer based on the cinematographer’s body of work. You do not have to be an American to qualify; cinematographers around the world are members of the ASC. Learn much more about the ASC here. How can I find out if a cinematographer is in the ASC? The current membership roster is posted on the ASC website here, and updated as new members are added. A complete PDF roster of all cinematographers who have been a member since 1919 can be found here. Can I visit the ASC Clubhouse? The Clubhouse is open to the public by appointment only, and appointments must be made during regular business hours 09:00 AM - 05:00 PM (PST), Monday-Friday. Also, the Society usually hosts an Open House on or close to the same weekend as the ASC Awards. Details about the Open House are advertised in American Cinematographer, on our website under Events, and on Facebook, Instagram and Twitter. You can learn more about the Clubhouse here. Can I buy a ticket to the ASC Awards? Yes. For information about ticket availability, please call the ASC toll-free in U.S. at (800) 448-0145 or at (323) 969-4333 during business hours, 9 a.m.-5 p.m. (PST), Monday-Friday. You'll find more information about the ASC Awards for Outstanding Achievement in Cinematography here. Can I visit the ASC Store? To visit the store in person, you must call in advance to schedule an appointment toll-free in U.S. at (800) 448-0145 or at (323) 969-4333. Appointments are made during regular business hours only: 09:00 AM - 05:00 PM (PST), Monday-Friday. You can also place orders online at our store at any time, by telephone during business hours, and by fax at (323) 876-4973. We accept U.S. checks and money orders, Visa, Mastercard, AMEX and Discover. We do not accept foreign checks or money orders in foreign currency. Are American Cinematographer and ICG Magazine the same thing? No, we are two separate entities. American Cinematographer is published by the American Society of Cinematographers, whereas ICG is published by the International Cinematographers Guild, a labor union that includes cinematographers, other camera crew, unit still photographers and publicists. If I don’t subscribe to American Cinematographer, do I have to pay to access your online content? Much of our web content is free, and is always evolving. Some of our web content is exclusive to Subscribers and Friends of the ASC, a premium subscription. Portions of each issue of AC magazine are published online each month and are available for free. How can I subscribe to American Cinematographer? Subscriptions can be purchased or renewed online, by telephone, by fax and by mail, or you can look for the AC booth at most motion-picture-industry trade shows and sign up in person. To purchase online click here. To purchase by phone call (323) 969-4333 during business hours 9 a.m.-5 p.m. (PST), Monday-Friday. To purchase by fax, fax your subscription form to (323)876-4973. To purchase by mail, just send in the subscription postcard that’s included in the magazine. Which American Cinematographer subscription will give me the best deal? The biggest discount is “3 Years Plus 1 Year Free,” which gives you a 4-year subscription (48 issues) for $89.95. What are the differences between the print and digital editions of American Cinematographer? The content is identical. All print subscriptions include free access to the digital edition. If you live outside the United States, the digital edition will reach you faster and cost less (because you won’t have to pay international postage). ; a link for downloading the issue is e-mailed to you during the first week of the month. Can I sample the digital edition of American Cinematographer to see if I like it? If you subscribe to the print edition you already have free access to the digital edition — you just need to activate your online account. To do that you will need your Subscriber ID number, which is printed on the mailing label attached to the plastic wrap on your magazine. If you cannot locate this number, please contact us for assistance at [email protected], or call toll-free in U.S. at (800) 448-0145 or at (323-969-4333. Once you have your Subscriber ID number, click here to activate your online account. If you are not a current subscriber, you can check out a recent digital edition. I can’t find American Cinematographer for sale in my area. Can you help? If you cannot find AC near you, please e-mail [email protected] and include your name and full mailing address (including street address). We will try to locate a nearby vendor. I subscribe to American Cinematographer and did not receive the latest issue. How can I get a replacement copy? Please call our Circulation Department during business hours 09:00 AM - 05:00 PM (PST), Monday- Friday at (323) 969-4333 or toll-free in the U.S. at (800) 448-0145, e-mail [email protected], or fax (323) 876-4973. I subscribe to American Cinematographer and have never accessed the subscriber-only section of the website. How do I do it? You will need to activate your online account, and for that you will need your Subscriber ID number, which is printed on the mailing label attached to the plastic wrap on your magazine. If you cannot locate this number, please contact us for assistance at [email protected] or (323) 969-4333. Once you have your Subscriber ID number, activate your account here. What is Friends of the ASC? Friends of the ASC is a subscription level we introduced in an effort to give our audience greater access to ASC members’ expertise and advice. Benefits currently include exclusive access to specific content on our website, discounts at the ASC Store and participating vendors, an invitation to a “Friends-only” event at the ASC Clubhouse, as well as a subscription to AC’s digital edition. For more information visit the ASC Store. How can I get information about advertising in American Cinematographer? Please contact Diella Peru, our advertising coordinator, by phone at (323) 952-2124 or by e-mail at [email protected]. How can I get my new product or service mentioned in AC’s “New Products & Services” department? If you have a new product that would be of interest to filmmakers, please e-mail your press release to [email protected] and include all of your contact information, as well as at least one photo of your product. (Photos must be JPEGs of at least 300 dpi measuring no less than 4" x 6".) This content is generally published in the AC website first, and then a curated selection is printed in the magazine. Note that magazine editorial content is organized roughly three months ahead of publication, so press releases are not published immediately. Note that not all press releases submitted will be published. How can I get American Cinematographer to cover my latest project? Competition for editorial coverage in AC is very keen, and we are most interested in productions that will be distributed or otherwise exhibited in the U.S., where most of our readers are located. If you have a well-shot project that meets that requirement, the best first step is to show it to us. Send us details about L.A. screenings, or mail us a DVD: AC Editors, 1782 N. Orange Dr., Los Angeles, CA, 90028. Be sure to include your contact information (or, if you are not the cinematographer, the cinematographer’s contact information). We are unable to personally acknowledge DVD submissions, and they will only be returned if you include a self-addressed, postage-paid mailer. Does American Cinematographer accept unsolicited articles? Only if they are written by ASC members. Can I apply to write for American Cinematographer? To write for AC, you must possess solid writing and reporting skills and, especially, a thorough understanding of cinematography tools and techniques. If you meet these requirements, mail us your résumé, one unedited journalistic writing sample, two published journalistic writing samples, and the names and phone numbers of three professional references. (Screenwriting samples will not be considered.) We do not accept applications via email. Send your hard-copy materials to: AC Editors, 1782 N. Orange Dr., Los Angeles, CA, 90028. We are unable to personally acknowledge applications, and your materials will only be returned if you include a self-addressed, postage-paid mailer. If we decide to try you out, we will contact you. Where can I send a letter to American Cinematographer’s editor? Letters can be submitted by mail to AC Editors, 1782 N. Orange Dr., Los Angeles, CA, 90028 by email to [email protected]. Please include your name, address and daytime telephone number. If we publish your letter, we reserve the right to edit it for length and clarity. Which film festivals does American Cinematographer cover? Our festival attendance varies from year to year, but we typically cover the Sundance Film Festival and also attend the AFI Fest, Camerimage and the New York Film Festival. We have also attended New Directors/New Films, SxSW, Cannes, Telluride, the L.A. Film Festival, Berlinale and the Seattle Film Festival. Can I purchase an older issue of American Cinematographer at the ASC Store? AC has been in publication since 1920, and we have many back issues available for sale. Prices vary. Please call our Circulation Department during business hours 09:00 AM - 05:00 PM (PST), Monday- Friday at (323) 969-4333 or toll-free in the U.S. at (800) 448-0145. You can also submit your request via e-mail to [email protected]. I’m looking for a specific American Cinematographer article but can’t remember when it was published. Can you help me find it? We are unable to facilitate research requests on site, but we can search our index for you. Please bear in mind that AC dates back to 1920, and while archival efforts are underway the collection is currently only partially indexed. The more specific your request is, the faster we can help you. Helpful details include the cinematographer’s name, the title of the film or TV show (or the subject of the article), and the approximate year of publication. For assistance, please call our Circulation Department during business hours 09:00 AM - 05:00 PM (PST), Monday- Friday at (323) 969-4333 or toll-free in the U.S. at (800) 448-0145. Please note that many university libraries, metropolitan libraries, and arts libraries (such as the Academy’s Margaret Herrick Library in Beverly Hills) carry AC and are open to the public. The Herrick Library is open to anyone with a photo ID. For more information, visit http://www.oscars.org/library/. Can I get a reprint or PDF file of the article American Cinematographer published about my film (or company)? AC content is copyrighted, and we do not distribute PDFs of individual articles. High-quality reprints and electronic reprints can be purchased through Sheridan Reprints by phone at (800) 635-7181, ext. 8065 or by e-mail at [email protected]. Can I obtain permission to republish an American Cinematographer article or include it in my course syllabus? Please send your request to our publisher, Stephen Pizzello, at [email protected]. How can I change the address you have on file for me? Changes of address can be submitted by e-mail to [email protected], by calling our Circulation Department toll-free in the U.S. (800) 448-0145 or (323) 969-4333 during business hours 09:00 AM - 05:00 PM (PST), Monday-Friday. or by fax at (323) 876-4973. Please e-mail [email protected] or call toll-free in the US (800) 448-0145 or (323) 969-4333 during business hours, 09:00 AM - 05:00 PM (PST), Monday-Friday.